Sun burn causes the top layers of your skin to release chemicals that make blood vessels swell and release fluid. Although the dead layers of skin peel - revealing new healthy skin, the damage of sun burn remains. A sun burn that results in blistering of the skin can significantly increase your risk of melanoma. In addition to the risk of melanoma, sun damage can cause your skin to age prematurely. You skin can become very dry, develop deep wrinkles, develop brown lesions (called liver spots), or develop rough, crusty patches called solar keratosis. An experienced consultant dermatologist may be able to treat your sun damaged skin. The goal of cryotherapy is to eradicate prostate cancer by freezing the prostate cells. Dermal fillers are injections to reduce and smooth signs of ageing and can give you a younger, healthier look. The treatment is very short with no recovery time, so we can schedule your treatment around your working day. Injections to reduce and smooth these signs of ageing can give you a younger, healthier look. Some skin conditions such as psoriasis, eczema, general itchy skin, other dermatitis can be treated using ultraviolet light under medical supervision. This is called phototherapy or light therapy. 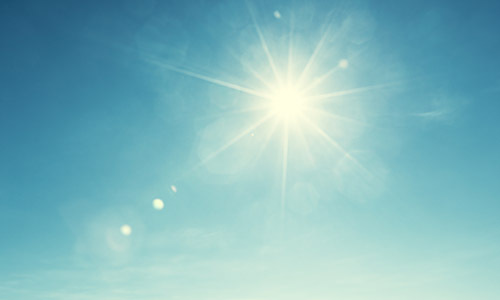 As the sun starts to shine Jay Brewer, Professional Head of Clinical Wellbeing, provides advice on the sensible way to achieve a golden tan.